Category Archives for "search engine optimisation"
In the post i would like to explain how you can build a brand using SEO and digital marketing and why it is so important. Google wants brands not websites! All businesses have an address and phone number and operate locally. Even if you are a national brand your offices will be local or in a specific town or city. Add your business to their listings and receive a post card. This proves to Google you exist and they can verify this. An entity is a collected of validated or verified information that Google has about your business below is a snippet from google website state what they want as part of your Google entity. Entity authority data: An entity authority is a verified authority on a specific thing, such as an official website for an artist, a brick and mortar business like a restaurant, or an organization. You help Google see your business or site as authoritative via information you provide in Google My Business, Posts on Google, and by registering and verifying your website using Search Console. JSON-LD annotates elements on a page, structuring the data, which can then be used by search engines to disambiguate elements and establish facts surrounding entities, which is then associated with creating a more organized, better web overall. If you include JSON it helps Google make more sense of the content you provide. 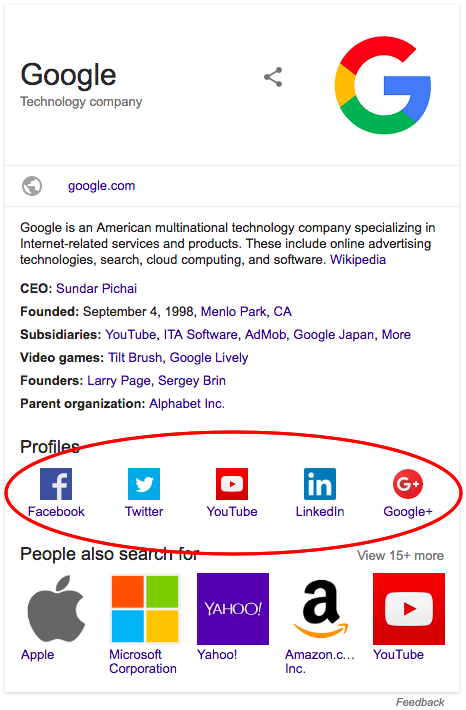 Use markup on your official website to add your social profile information to a Google Knowledge panel. Knowledge panels prominently display your social profile information in some Google Search results. You can specify other social profiles as well, but they aren’t currently included in Google Search results. As you can see Google are linking everything together to understand more about you which helps them determine whether your real or not. It is important to consistently post new content that promotes your brand and gets share across all your social media channels. We call this freshness, this also allows your to create more relevance for your website and rank for more keywords and generate more traffic. If you already know me I am a huge advocate on basics and making sure every aspect of your SEO follows a scientific plan and approach and if you follow these guidelines you will rank full stop. So I wanted to put together a list of items that I use in my free SEO audit that I give to local business’s so you can see what is necessary. Meta title – Look to make sure there are no duplicate page titles and that you give a clear understanding to a potential client or customer what it is your page is about. H1 Tags – H1 is a very important SEO signal and so you need to make sure yet again there are no dupes and that your h1’s a unique. H2 Tags – These are again a powerful signal in Google search and so double check for duplication. Site errors – Double check to make sure your site doesn’t have 404 errors and that all pages show a status 200 which means google and clearly see the page. Site Speed – This a factor that Google rave about and it is super important to make sure you site is fast. As mobile first starts to take over it is highly important that you check your speed regularly. Screaming frog – This tool allows you to scan you website and tells you all the necessary information listed above. Gt Metrix – This website scans your website for all things page speed. Google Page Insights – Google will scan your website and check for desktop and mobile speed issues. Check out Alex’s home page for more information about SEO services. Now obviously there are also more advanced and in depth SEO audits and these will cost if your interested in one of these contact Alex.